As Ontario begins to reorient the health system to respond to the increasing prevalence and burden of chronic conditions, Canadian Mental Health Association, Ontario believes it is timely and essential to initiate dialogue on the fit between mental health, mental illness and Ontario’s approach to chronic disease prevention and management. The chronic disease prevention and management (CDPM) framework, developed by the Ontario Ministry of Health and Long-Term Care in collaboration with the Ministry of Health Promotion, has been broadly disseminated and is in the initial stages of implementation in this province. Serious mental illnesses are not preventable in the same way as chronic physical conditions, but there are strategies known to promote mental health and reduce the risk of mental illnesses. It is possible that serious mental illnesses may benefit from a CDPM approach, but there is little available research and writing on this topic. Consideration must also be given to whether the recovery approach, as well as the services and supports that are already in place to support people with serious mental illnesses, fit within a CDPM framework. One of the strengths of the CDPM approach is its potential for integrating physical and mental health care. This is particularly of value in improving the physical health care of people with serious mental illnesses, a population whose physical health is often poor and who are at high risk of developing diabetes and heart disease. In addition, there has been considerable research on addressing depression as a chronic condition. People with chronic physical conditions are at risk of depression, and the CDPM model appears to have the potential to improve screening and management of depression in people with chronic physical conditions. CMHA Ontario has prepared two papers on the relationship between chronic disease, mental illness and mental health. The first is a discussion paper, “What Is the Fit Between Mental Health, Mental Illness and Ontario’s Approach to Chronic Disease Prevention and Management?” Its purpose is to initiate dialogue about the issues and opportunities inherent in Ontario’s shift towards improved chronic disease prevention and management. The paper is intended to be a foundation for consultations and discussions with people with mental illnesses, their families, health care providers and other stakeholders. While further discussion is clearly needed, the health system has already begun to move towards improving the management of chronic physical conditions through a CDPM approach. CMHA Ontario believes it is important that action begin immediately to address co-existing chronic physical conditions and mental illnesses, and there is clear evidence to support some health system changes that would begin to do so. For this reason, we have prepared this second paper, “Recommendations for Preventing and Managing Co-Existing Chronic Physical Conditions and Mental Illnesses.” This paper is meant to be read together with the discussion paper. It presents a very short summary of the issues related to co-existing conditions described in our discussion paper and outlines 13 recommendations, directed to the Ministry of Health and Long-Term Care, the Ministry of Health Promotion, the Local Health Integration Networks (LHINs), public health units, mental health service providers and other health care professionals, to initiate action to address co-existing chronic physical and mental health conditions. Why is it important to address co-existing conditions? People with chronic physical conditions are at greater risk of developing depression than the general population. People living with a serious mental illness are at greater risk of developing diabetes and heart disease than the general population. Such co existing mental illnesses and chronic physical conditions result in poorer health outcomes and higher mortality than when either type of condition occurs alone. Ontario’s chronic disease prevention and management (CDPM) framework offers opportunities for integrated approaches to improve the prevention and management of co-existing conditions. There are a number of factors that contribute to the development of chronic physical conditions among people with a serious mental illness. Psychotropic medications can induce weight gain, which increases the risk of developing diabetes. Poor nutrition and inadequate housing — often consequences of living in poverty — increase vulnerability to chronic conditions. Barriers preventing access to physical health care are also a factor. Targeted initiatives to support people with mental illnesses to engage in healthy behaviours can be developed and implemented. These initiatives must recognize and deal with the impact of the illness, medications, poverty and other factors on people’s ability to engage in healthy behaviours. Population based health promotion strategies to address poor housing, lack of employment and low incomes are also necessary to reduce the risk factors for chronic conditions in this population. Mental health service providers in Ontario have identified a need for assistance in managing chronic physical conditions in the individuals they serve. People with serious mental illnesses often have difficulty accessing primary care. Strong linkages between mental health service providers and primary care providers can break down the barriers to access. Current partnerships that connect community mental health agencies with family health teams and community health centres look promising. These initiatives are improving access to physical health care for people with mental illnesses and increasing access to mental health services for primary care clients. With the implementation of a CDPM orientation such partnerships can improve the management of chronic conditions in people with mental illnesses. Supporting mental health organizations to provide assistance to their clients who have chronic physical conditions is also necessary. For example, the Diabetes Resource for Mental Health Clinicians, developed in London, Ontario, is a training program for mental health professionals to improve the community mental health sector’s capacity to prevent, screen and address diabetes in consumers using their programs. Other targeted initiatives are needed for people with mental illnesses at risk of or living with chronic physical conditions. That the Ministry of Health and Long-Term Care and the Ministry of Health Promotion set provincial directions and provide funding to address the prevention and management of chronic physical conditions in people with serious mental illnesses. That the Ministry of Health and Long-Term Care and the LHINs increase their investment in the community mental health sector to improve the capacity of mental health service providers to deal with the chronic physical conditions experienced by people with serious mental illnesses who they serve. That public health units and health professionals work with community mental health agencies and consumers of mental health services to develop approaches to supporting healthy behaviours and self-management of chronic conditions that recognize the particular barriers facing people with serious mental illnesses. That the Ministry of Health and Long-Term Care improve access to primary health care for people with serious mental illnesses. That the Ministry of Health and Long-Term Care and the LHINs provide resources and support for both the community mental health and primary care sectors to improve system planning and service design to foster collaboration. Among people with chronic physical conditions, depression is common and frequently undiagnosed by health care practitioners. Depression can undermine motivation for self care, such as compliance with medications, eating well and exercising. People with chronic physical conditions who are depressed experience poorer physical health than those who are not depressed. The implementation of Ontario’s CDPM framework can improve prevention and early identification of depression in people with chronic physical conditions. Although there are Canadian guidelines to assist physicians with screening and management of depression, they have not been explicitly linked to the management of chronic conditions. Evidence-based protocols and tools need to be developed and integrated to improve health care providers’ management of chronic physical conditions. Information systems can be expanded to track care and remind providers to routinely screen for depression. Enhanced delivery system design can reorganize how multidisciplinary teams and other community providers work together to integrate prevention of depression initiatives into all elements of care. Chronic disease self management programs can also help reduce the risk of depression. Groups for people who share a chronic condition can offer social support, improve coping skills and reduce stress, all protective factors for mental health. In addition, the opportunities to take charge of one’s situation as part of a group, and tap one’s own strengths to help others, are significant steps in countering the feelings of helplessness that tend to accompany depression. Linking people with community resources that create supportive environments can also reduce the risk of depression. The British Columbia Ministry of Health has recently funded CMHA British Columbia Division to provide mental health support to people with chronic physical conditions. The Bounce Back project is using evidence based therapeutic, educational and self help strategies to support patients to improve their mood and resilience, leading to better health outcomes and quality of life. The Ontario government has a draft depression strategy that has not yet been approved. Integrating the draft depression strategy with strategies for preventing and managing chronic physical conditions could improve the situation in this province. That primary care practitioners incorporate routine screening for depression in their protocols for preventing and managing chronic physical conditions. That physicians and nurses receive continuing professional education to increase their capacity to screen, diagnose and treat depression. That the Ministry of Health and Long-Term Care provide leadership through policy directions that foster collaboration between multidisciplinary primary health care teams and community mental health service providers, in order to develop an integrated approach to prevent, screen and manage depression in people with chronic physical conditions. That the Ontario government approve and fund the provincial depression strategy. The stigma of mental illness often causes individuals to hesitate in seeking help and accepting treatment. A lack of understanding of mental illnesses also creates barriers. Improving the mental health literacy of Ontarians can assist people with or without chronic physical conditions to better recognize depression and feel more at ease seeking help. The judgments, attitudes and behaviours of health care providers toward people with mental illnesses can also be a barrier to care. The health care system must address the fears, attitudes and behaviours of health care providers toward people with serious mental illnesses in order to address co-existing physical conditions. That health care providers receive training to improve their understanding of serious mental illnesses and how to reduce stigma, as well as education on how to meet the unique needs of people with co-existing physical and mental health conditions. That the Ministry of Health Promotion and the Ministry of Health and Long-Term Care support initiatives to improve the mental health literacy of Ontarians. There is growing recognition in the field of chronic disease prevention of the importance of population health interventions in the prevention of chronic physical conditions. Income, housing, education, employment and social inclusion have been shown to be protective factors for both physical and mental health. The CDPM framework recognizes the importance of community action, supportive environments and public policies to support health. 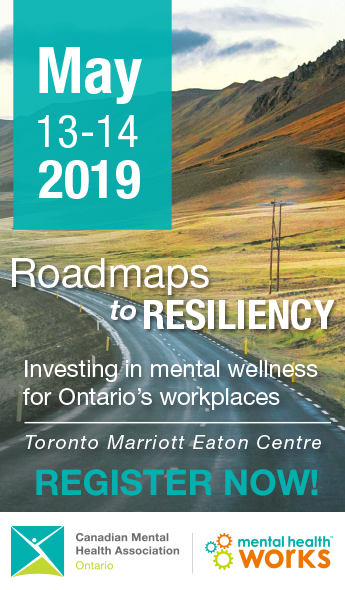 That the Ministry of Health and Long-Term Care, the Ministry of Health Promotion and the LHINs address preventable risk factors for mental illnesses and chronic physical conditions by leading inter-ministerial and cross-sectoral collaboration. Specifically, that they develop healthy public policies that enhance housing, employment and education opportunities, as well as reduce poverty. That local public health units and health service providers engage communities in action, and create supportive environments that improve the social conditions which are known to impact on physical and mental health.